﻿ Moorea Surf Inn, Moorea Island | FROM $82 - SAVE ON AGODA! "It's a nice family vibe and a super relaxing spot." Have a question for Moorea Surf Inn? "Feeling at ease and enjoying wonderful nature and the company of other nice people staying at the hotel!" "On the terrace, we watched perhaps the most beautiful sunset..."
If what you're looking for is a conveniently located hotel in Moorea Island, look no further than Moorea Surf Inn. The hotel lies 15 km from the city center and provides accessibility to important town facilities. This modern hotel is in the vicinity of popular city attractions such as Mount Tohivea, Opunohu Bay. 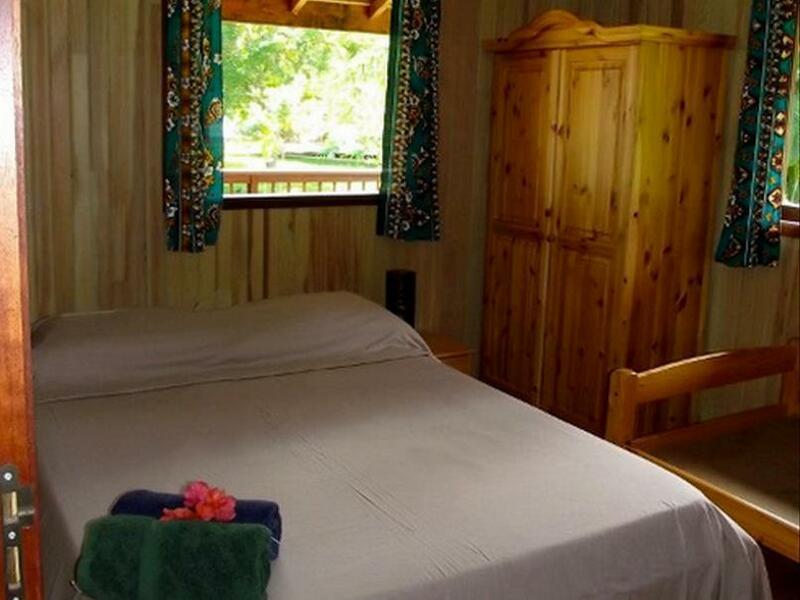 At Moorea Surf Inn, every effort is made to make guests feel comfortable. To do so, the hotel provides the best in services and amenities. The hotel offers access to a vast array of services, including free Wi-Fi in all rooms, facilities for disabled guests, express check-in/check-out, Wi-Fi in public areas, car park. All guest accommodations feature thoughtful amenities to ensure an unparalleled sense of comfort. The hotel offers fantastic facilities, including fishing, solarium, children's playground, billiards, water sports (non-motorized), to help you unwind after an action-packed day in the city. Moorea Surf Inn is your one-stop destination for quality hotel accommodations in Moorea Island. "Tamas, the owner, was extremely helpful and nice!" Tamas, the owner, was extremely helpful and nice! 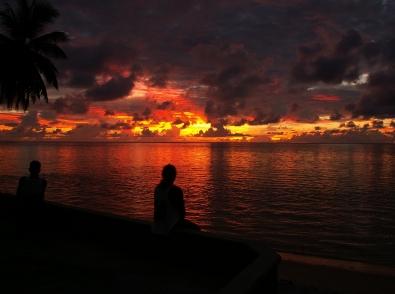 On the terrace, we watched perhaps the most beautiful sunsets from all our trips in French Polynesia and afterwards, the sky full of stars. Feeling at ease and enjoying wonderful nature and the company of other nice people staying at the hotel! I would recommend to have a car though, although anywhere in Moorea it would be highly recommended, at least for part of the time. There were bikes provided to go to a supermarket or so though. Tama and family are great. It's a nice family vibe and a super relaxing spot. 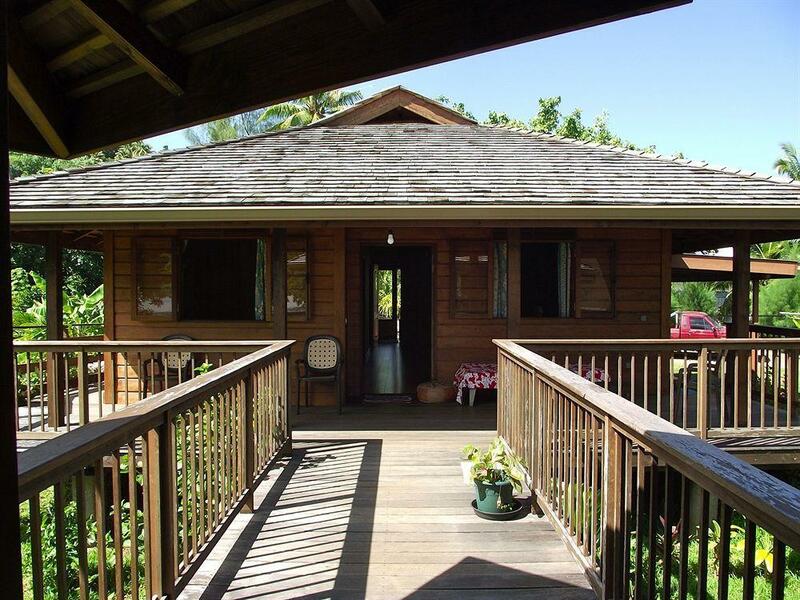 Moorea surf inn is idealy located in Vaian'ae, Tama, the owner his uber nice and will have all the needed toys(canoe, surf, Sup) so you can enjoy your stay even more. Tama, the host was very helpful with whatever needed. You can kayak easily to one of the surf breaks. I stayed for the only day I had to spend in Moorea, including a pick-up from the ferry upon arrival. True family run and owned, the owners Tam and Marie are very friendly and knowledgeable about the island. The following day I arranged an island tour, two other guests joined, so Tam took us personally in his Jeep and led the tour. This was fantastic since Tam knows a lot about Moorea, is friendly and also has a since of humor. The waves weren't up that day but I did get in a good swim along the tour and then a drop off back to the ferry terminal for my departure. I would definitely stay here again but for at least 2-3 days. We spent a couple of days and had a very nice time. Nous avons passé un excellent sejour au Moreea Surf in, accueil, emplacement et bungalow. Tama à su nous conseiller en hôte parfait. N avons pas pu y dormir. Surbooking. Cependant nous a trouvé un logement de substitution . Nous sommes restés 4 nuits dans cette super petite pension très intimiste. Nous avons beaucoup apprécié le calme et la sérénité du lieu. Tama nous a très bien accueillis, et a été très sympathique. Il prend le temps de discuter avec ses hôtes. La pension est TRÈS PROPRE : les chambres comme les parties communes . La cuisine permet de stocker ses denrées, de cuisiner et de manger. Le fait qu'il y ait peu de chambres donne une ambiance très calme, mais permet tout de même de rencontrer d'autres voyageurs. Soirée échanges et découvertes sont au rdv. A une vingtaine de minutes en scooter 50cc, depuis la gare maritime, il faut néanmoins avoir l'oeil pour trouver la pension, mal indiquée. Possibilité d'emprunter des kayaks ou paddle. Le seul bémol est qu'il n'y ait pas d'accès direct sur une plage, il faut marcher quelques mètres pour accéder à la mer. L'eau est vaseuse au début mais vous pouvez néanmoins partir avec vos palmes, masque et tubas, le corail et ses poissons ne sont pas loin. Très familial, chaleureux, super couché de soleil..
Ce fut une escale d'une nuit à Moorea.Les maîtres des lieux nous ont accueilli avec beaucoup de sympathie et de professionnalisme.Juste dommage que notre chambre soit proche de la route. Superbe accueil, convivial et en toute simplicité. Très bon accueil et échange avec Marie avec qui nous avons fais le tour de l'île. Pour les amateurs de surf, Tama répond présent pour vous faire partager sa passion. Petit-déjeuner très copieux. Chambre très propre, grande salle de bain mais commune. Bref, prêts à y retourner sans hésitation. Sehr, sehr nette Gastgeber!!! Zuvorkommend, hilfsbereit und gleichzeitig diskret. Ich hatte eine wunderbare Woche, die ich nie vergessen werde. Mauru'uru!!! rent og pent, veldig hyggelig vert. god frokost med hjemmelaget yoghurt, pannekaker og masse frukt rett fra egen hage. behjelpelig med a kjoring der det skulle trenges. gratis lan av sykkel og kayak. surfetarn, flotte solnedganger og gode surfe og snorklemuligheter.